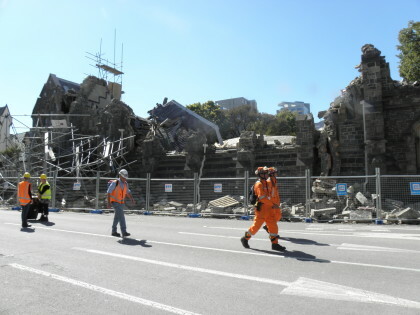 Emergency management staff returning to the office. 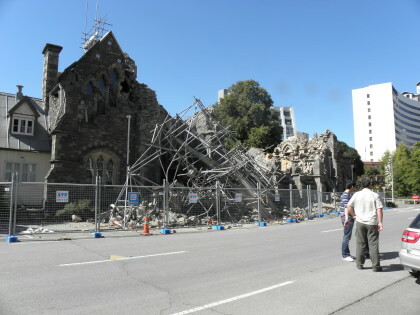 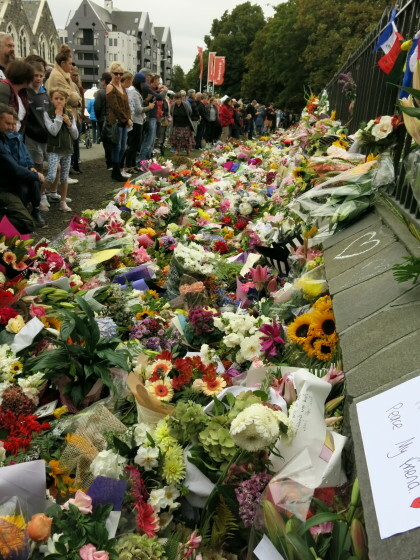 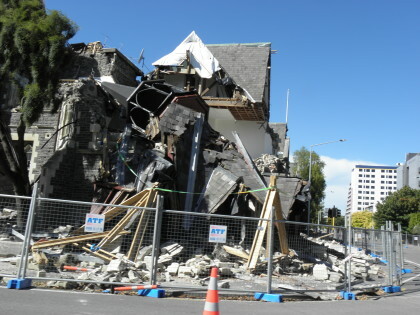 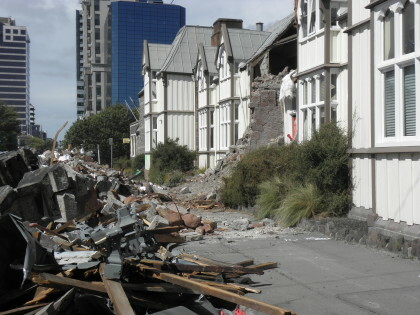 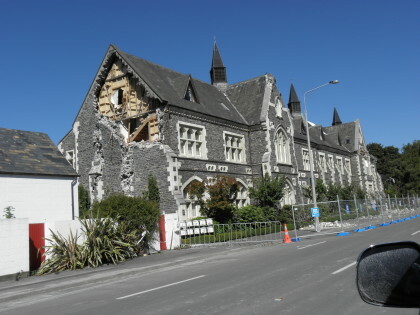 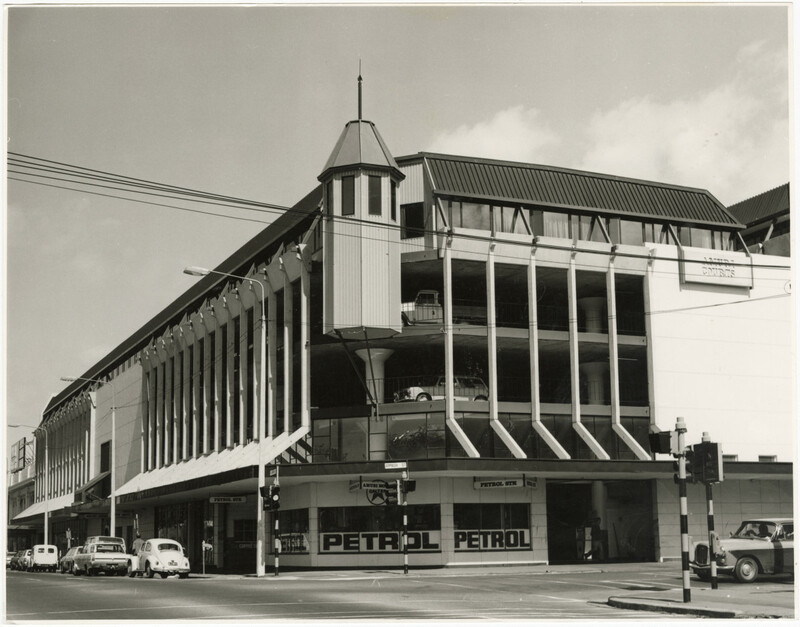 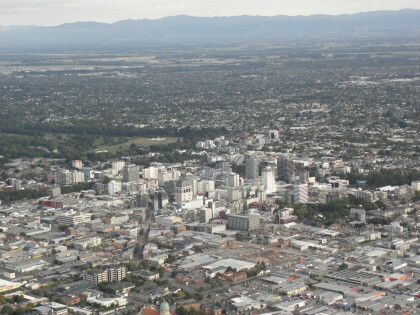 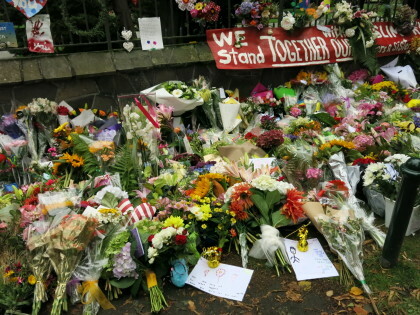 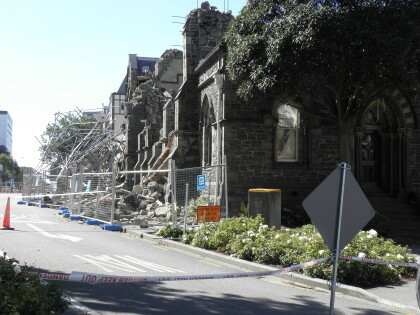 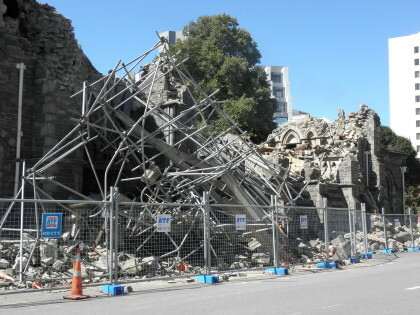 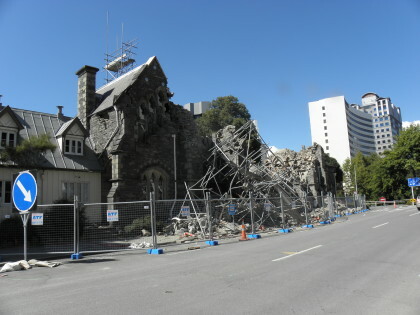 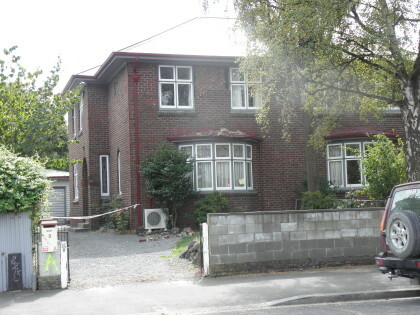 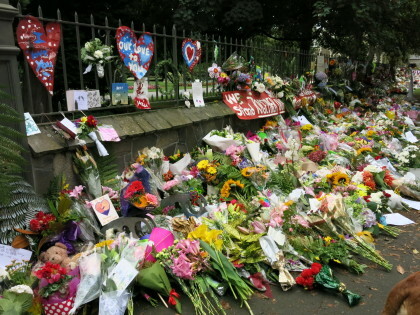 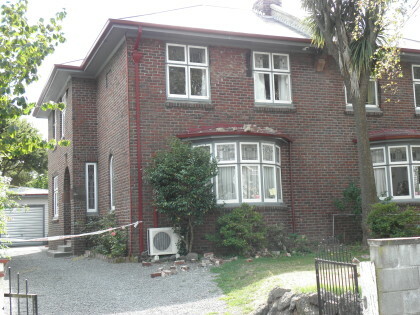 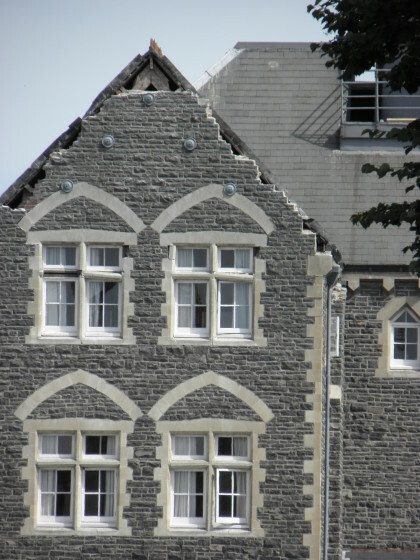 Collapsed Canterbury Provincial Council Buildings. 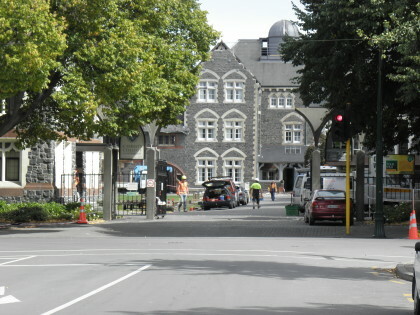 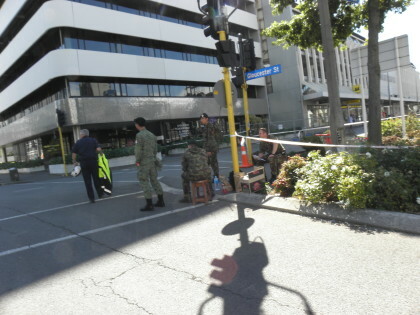 Masonary outside the Canterbury Provincial Council Building. 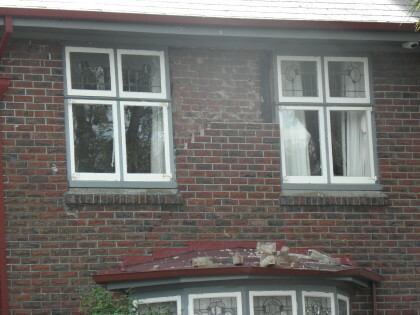 Double cavity brick house damage on Worcester Street. 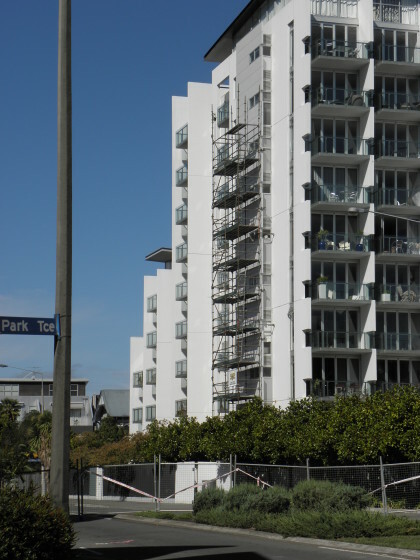 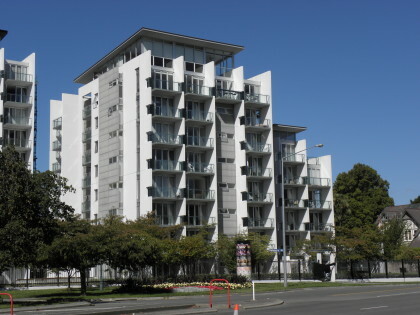 Park Terrace, modern apartment building.